Play a key role in the development of processes and procedures. Shape the Data Center Operations department and team, and help establish best practices for use across the company. We’re growing fast, and our ongoing growth also means plenty of opportunities for strong performers to build a career here. We are proactive about helping our people grow and develop, and in addition to opportunities to grow your own skill you’ll have the chance to manage, coach, and develop your team to help them achieve the next level in their careers. You will join a talented group of professionals at our state-of-the-art facilities in Los Angeles, CA. You'll have the opportunity to select your "home" location, at either 2260 E. El Segundo Boulevard or 600 W. 7th Street in downtown LA. You will spend time at both locations. A high level of commitment to customer service toward both co-workers and clients. Achieve goals established by upper management with a sense of urgency. Bring a proactive approach to unusual occurrences. Interact effectively with diverse personalities. Analyze and solve problems utilizing the information and resources available to you, including doing research on your own when needed. Interpret a variety of instructions furnished in written, oral, diagram or schedule form. The ability to work independently to achieve goals. Advanced analytical and quantitative skills. 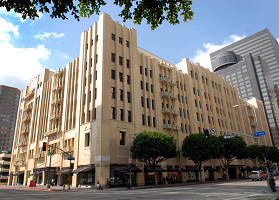 Pictured: our regional office in downtown Los Angeles is collocated with a state-of-the-art 489,722 square-foot mission critical datacenter and telecommunications facility. Reporting to the Regional Manager, Data Center Operations, you will provide leadership, coaching, support, and mentorship for the Engineering staff, and your direct reports will include two Facilities Engineering Managers, two Remote Hands Managers and two Security Managers. Each one of these Managers will also have a team of direct reports underneath them. The team provides 24x7 coverage. You’ll invest the largest part of your time in managerial activities such as coordinating the Data Center Operations staff, meeting with customers, processing paperwork, contributing to business cases to support development initiatives, and more. At the same time, you’ll often be "hands on," getting out into the facility to check in with the team, answer questions, solve issues, and complete work yourself when needed. In addition to daily operations, you’ll be involved in a variety of projects, such as ongoing construction. Oversee all building systems, critical facilities equipment, and other equipment including fire / life safety, plumbing, mechanical, bonding, innerduct, wire ways and electrical systems, and equipment. Plan, implement, coordinate, and supervise all mechanical / electrical operations, maintenance and energy management programs for a critical facilities environment. Maintain cost effective and efficient operation of all building systems. Manage, direct, and coordinate the activities of contracted personnel or third parties providing services or performing work at this facility. Oversee scheduling of preventative maintenance, contracted maintenance and general maintenance with minimum disruption of building services. Coordinate the input and output of the preventative maintenance system and review the status on a monthly basis. Recommend / implement improvements to the preventative maintenance program on an ongoing basis. This will include devising technical enhancements to improve various aspects of building operations. Maintain lighting in all areas of the building. Understand the engineering design and operation aspect of each building system. Monitor all allocations of building system capabilities to various base building and tenant needs. Act as primary technical resource for building engineers, property management, and various Digital Realty groups. Evaluate, assign, and monitor the safe work responsibilities and capabilities of employees and contractors; ensure adherence to safety requirements and prescribed procedures. Coordinate maintenance efforts with outside contractors, tenant finish personnel, and engineers. Maintain ongoing communication with tenants, owners, property management, and vendors. Coordinate development of and / or maintain as-built drawings. Respond quickly to emergency situations (such as fire, evacuation, equipment failures, etc.) and customer concerns. Implement and administer inventory control programs, and purchase parts and supplies. Ensure compliance with applicable codes, requisitions, government agencies, and Digital Realty directives as they related to building operations. Your primary focus will be on the critical infrastructure, but you'll share responsibility for the entire site and will most likely gain experience in areas that are new to you, including IT. In addition, we are committed to helping our people grow professionally, including providing training opportunities. While you could be challenged in this role for years to come, if you're driven to further advance your career, success in this position could set you up to move in a variety of directions, such as design and construction, technical operations, property management, or any of the other exciting career paths available to engineers in our wide-ranging company. We have two million feet of data floor and continue to grow. We anticipate ample opportunity in Los Angeles. You'll find that working for our company may be a little bit different. We are small enough, with only 1500 employees across our global portfolio divided into small but powerful teams at each of our sites, that your hard work will be visible. At the same time, our extensive offering of services and solutions and proven track record of growth, stability and industry-leading innovation can provide you the resources and tools you need to take your career to the next level. Video: You will work at our Los Angeles, state-of-the-art mission-critical data center and telecommunications facility including 7 levels and 490,000 sq.ft. You will come in with a strong technical background and a commitment to the job. If you’re the right fit here, you’ll exemplify ownership and lead from the front. You will take a hands-on approach, both to the work itself and to actively developing your team. You'll lead a talented and smart team of professionals, and you'll leverage your interpersonal skills and employee development abilities to make a great team even better and enhance their skills sets. If you believe you can manage everything from your desk, this role will not be a good fit for you. To excel, you’ll take pride in getting your work done correctly and in a timely way, and your manager should be able to trust you to take care of things without a lot of oversight. Pivotal to your success will be your ability to manage multiple activities with shifting and competing priorities and high expectations from both internal managers and external customers. You’ll need to be resourceful, finding answers and solving issues before they become problems. You’ll also be a strong communicator, keeping your manager informed, making sure your team knows the plan, and keeping open lines of communication with any vendors or contractors in the work environment. In addition, our ideal candidate has a positive, ‘glass is half full’ attitude, and helps spread that positive attitude to the team. You’ll also need to have strong people skills, including compassion, and to always practice honesty. If you are a qualified individual with a disability or a disabled veteran, you have the right to request an accommodation if you are unable or limited in your ability to use or access our career center as a result of your disability. To request an accommodation, contact the Human Resources Department at jdibenedetto@engage2excel.com.